Habib, from Afghanistan, likes to help people. A virtue that was passed to him and his brother by his father. Now stronger as a result of all he has experienced, he talks of the importance of remaining positive, busy and social. He tells me of the art classes he delivered in a detention centre in Oxford and how the other detainees and the centre staff cried when he left. He talks of his passion for creating and how he keeps busy with various acting and art projects. His artwork was spotted in Calais and made it into an exhibition in London. With his art and theatre connections he has travelled to Edinburgh, Sheffield, Oxford, Brighton and to other towns and cities around the UK. Habib is 36 years old. One project that Habib was involved with was a theatre show entitled Borderline. A dark comedy, in which performers (from mixed backgrounds) act out situations and conditions in Calais and the UK. He tells me how this small group of mixed nationality migrants and refugees – some of whom had previously met in Calais – bonded through playing games, dance and music before starting to work on Borderline. In the company’s first production he performed as a musician and played three different characters; for the second production ‘Borderline 2 – Welcome to the UK’, he has taken on the role of set designer and builder. Another of Habib’s projects involved making a mini model village of the Calais jungle, and later at Edinburgh festival, life-size replicas of the structures seen in Calais. He has been invited to join many different art projects with a variety of organisations around the UK, including: Summerhall in Edinburgh; the museum of Oxford ; Oxford Brookes University; Migration museum in London; University of the creative arts (UCA – Epsom); and Action for Humanity (Houses of Parliament). Habib has achieved a lot in his time in the UK, speaking to school children and university students about the situation in Afghanistan, his experiences, and keeping a positive attitude in challenging situations. He once ran a workshop with children at a primary school within close proximity to the Grenfell Tower not long after the tragedy. 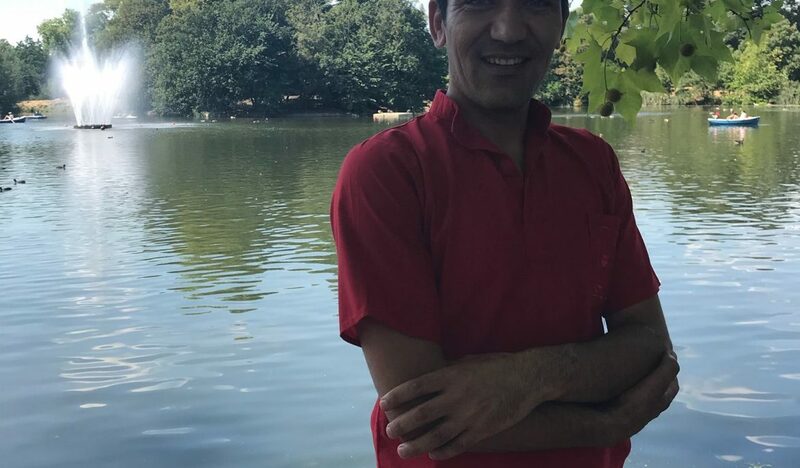 When London was hit with heavy snow in March 2018, Habib helped out at the Hackney Night Shelter, working to make more room, food and hot drinks in the church for new arrivals escaping the freezing temperatures. In all that he does he wishes to reciprocate the kindness he has received from other people. He tells me “I met so many kind people on my journey and here in the UK”. He says when he helps people he “feels good in his heart and his soul”.